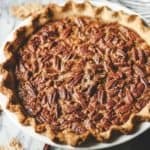 Pumpkin Pecan Pie is my favorite Thanksgiving pie! Try it and it might become yours too! Are you a Thanksgiving traditionalist? Or do you like to change things up? I think I’m a little of both! 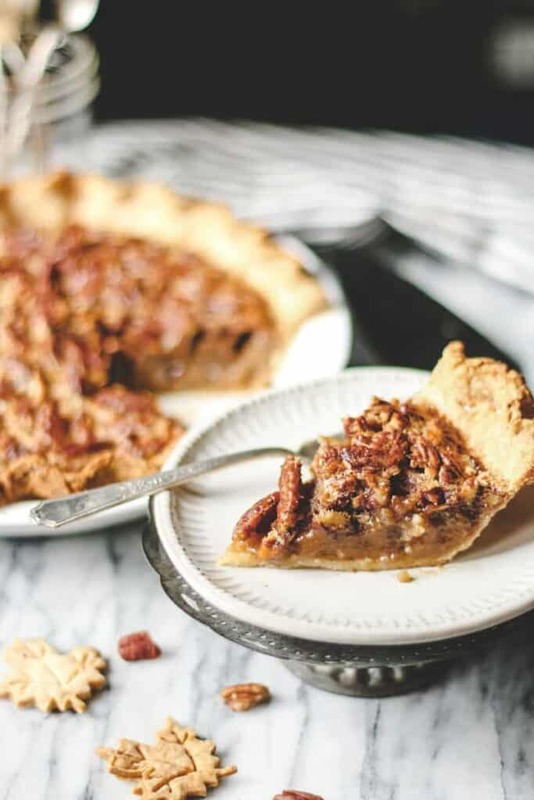 To me, this Pumpkin Pecan Pie is the perfect Thanksgiving crossover! 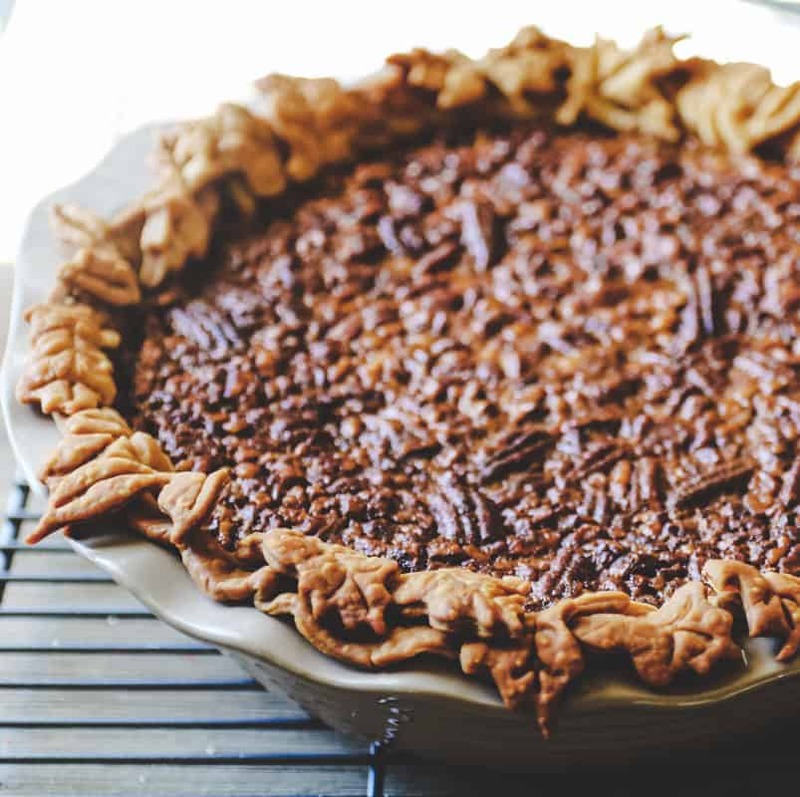 A cross between a pecan and a pumpkin pie, that leans more towards a pecan pie with a good hint of pumpkin. <—- that was a mouthful. Did you even catch my drift there? Seriously though, this is so good that if I could only have one piece of pie on Thanksgiving, this would most definitely be it! Yes. I would skip the traditional, pumpkin pie! And I wouldn’t. even. care. First things first, make your favorite pie crust. I used this gluten-free pie crust recipe. You can buy one if you want to. I won’t tell. Whatever route you take, pre-bake the crust for about ten minutes. Then it’s time to make the filling! The ingredients aren’t really anything fancy! 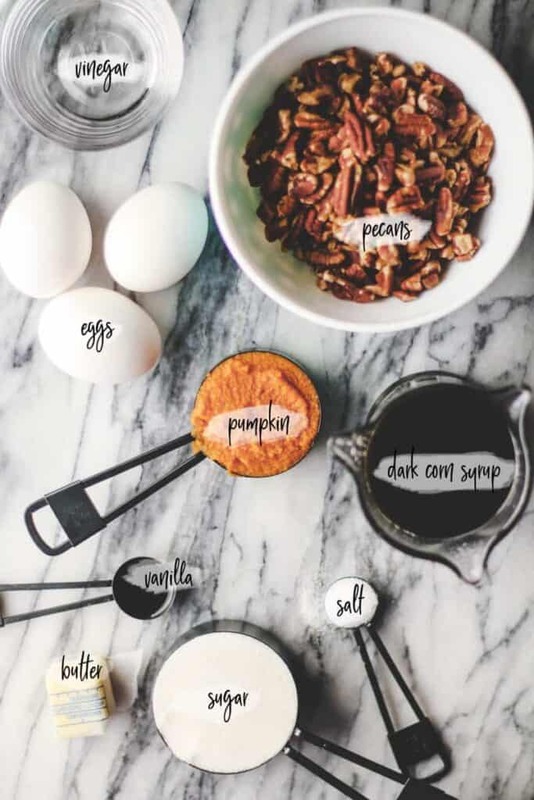 All are typical fall baking stuff. Whoohoo! The recipe calls for dark corn syrup… I’ve never made this pie with light corn syrup. Theoretically, it will work but I can’t speak to the flavor difference. If you don’t want to buy dark corn syrup and use light instead, proceed at your own risk. I use pecan pieces instead of halves. It cuts easier and the final product is just as pretty! The vinegar and salt balance out the sweetness… so don’t leave them out! Not pictured: pumpkin pie spice… I know you’ve got some of that to use up! P.S. 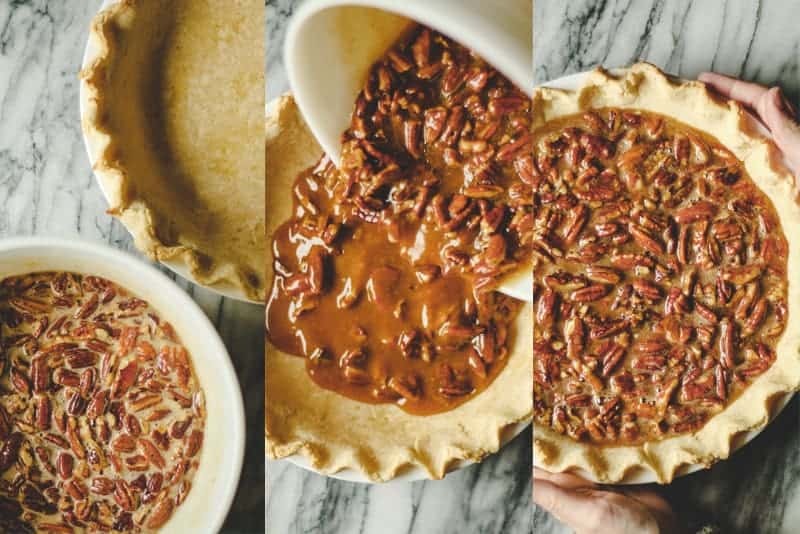 You’re going to love how easy this pie is to make! Next add the pecans and pumpkin puree and mix. Guess what?! Filling’s done. Yep. That’s right! 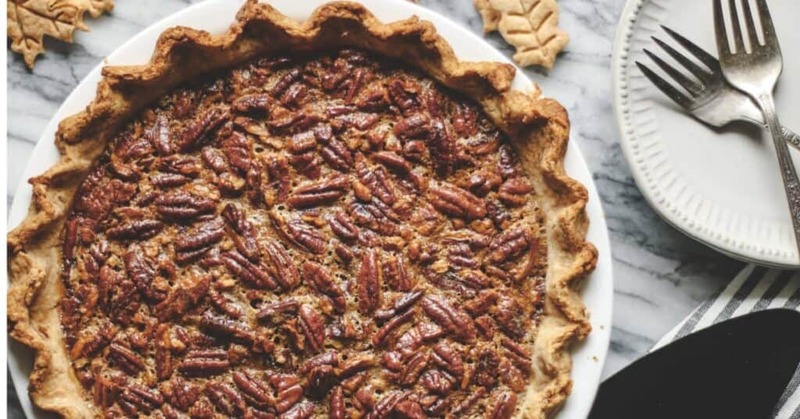 Pour that pumpkin-pecan goodness into your prepared crust and bake! I mean. How impressive is that pie?! 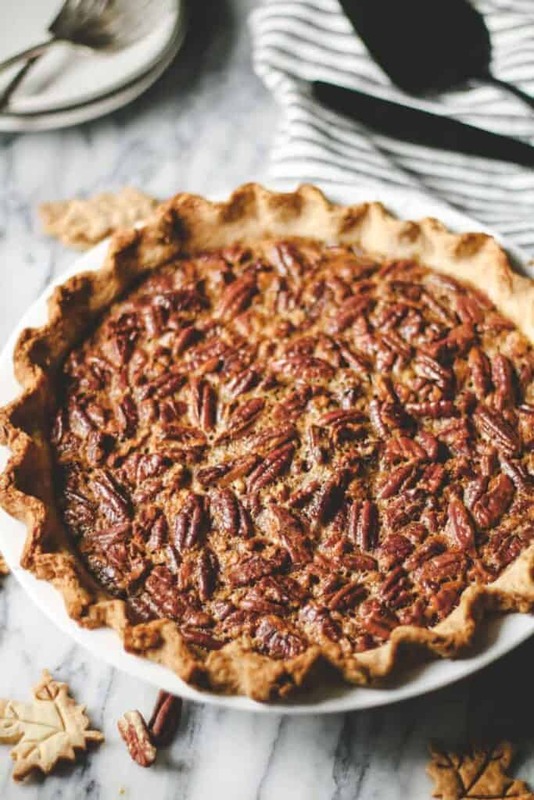 I think pecan pie is just the most beautiful of all the pies. Don’t you? See those little pie crust leaves above? Aren’t they adorable?! Here’s the little cutters I used to make them! You can use them around the edges of the pie in place of crimping and the results are outstanding! If you choose to go that route, which you obviously should, cut out a bunch of leaves from the pie dough. After the crust is in the pan, trim the edge of the crust flush with the edge of the pan. Attach the leaves around the edge of the pie with a little water and gentle pressure. Bake and fill the pie according to the recipe! You know the pie is done when the center is no longer jiggly! Keep an eye on the crust. Cover the edges with foil if they’re getting too brown. This pie doesn’t need to be refrigerated… but it can be! It’s up to you! Either way, once completely cool keep it covered to prevent it from drying out. You can bake the pie at least two days ahead, I would recommend refrigeration if making more than one day in advance. Let the pie cool COMPLETELY before you cut it. This prevents a runny pecan pie! Enjoy & Happy Thanksgiving, Friends! The perfect Thanksgiving pie crossover! Preheat the oven to 425°. Make the Gluten-free pie crust. Roll out the dough and line a 9-inch pan (not a deep dish). Remove the excess dough, fold over, and crimp the edges of the dough. Bake the crust for 10-13 min or until the edges are light brown. Set aside to cool and reduce the oven temperature to 350°. 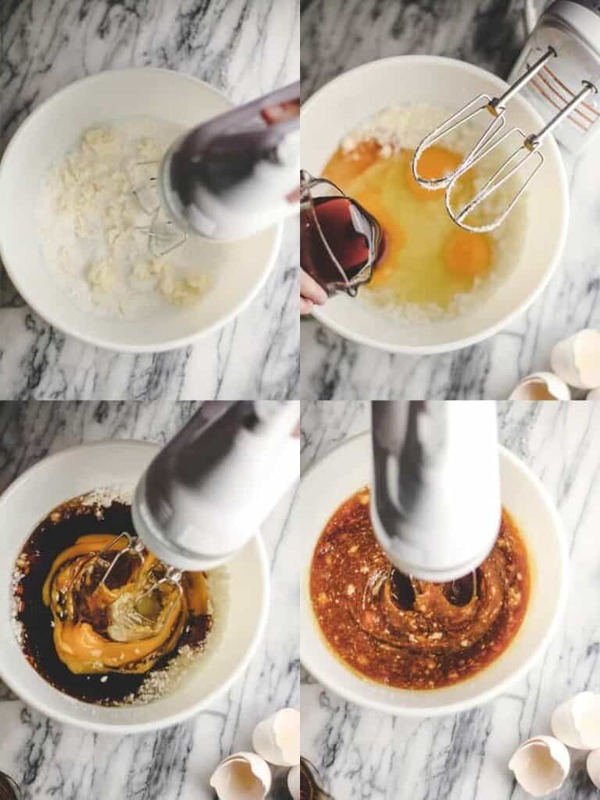 In a large bowl, cream the butter and sugar together. Then add in the eggs, vinegar, salt, pumpkin pie spice, vanilla, and corn syrup. Mix to combine. 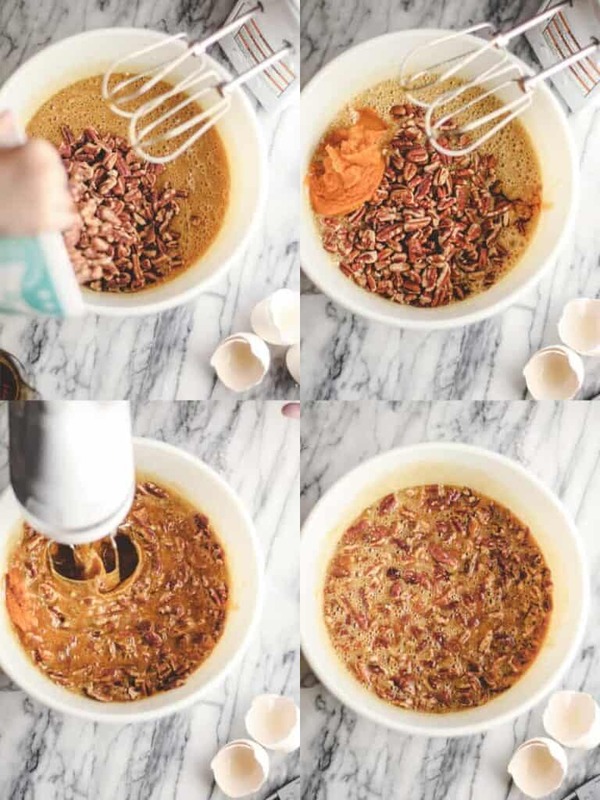 Then mix in the pumpkin and pecans. Pour the filling into the pre-baked crust. Bake 40-50 minutes or until the center is set. Cover the edges of the crust with foil if they start to get too brown. Recipe slightly adapted from The Chew.